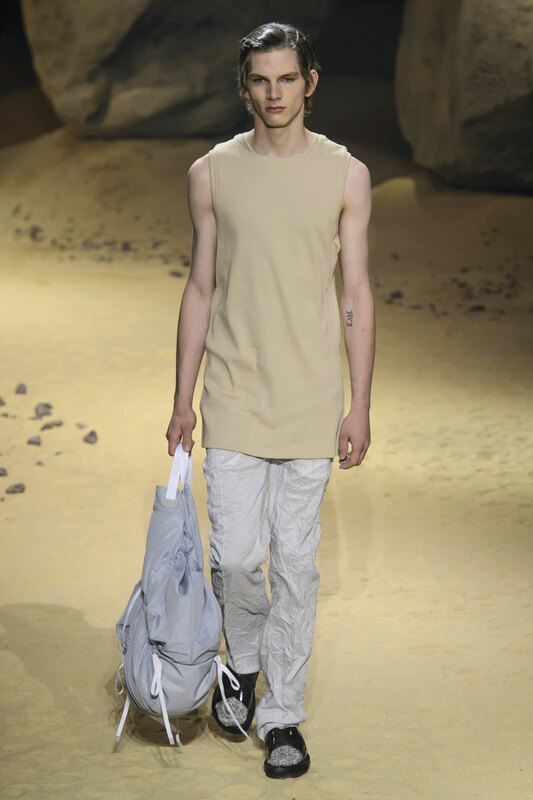 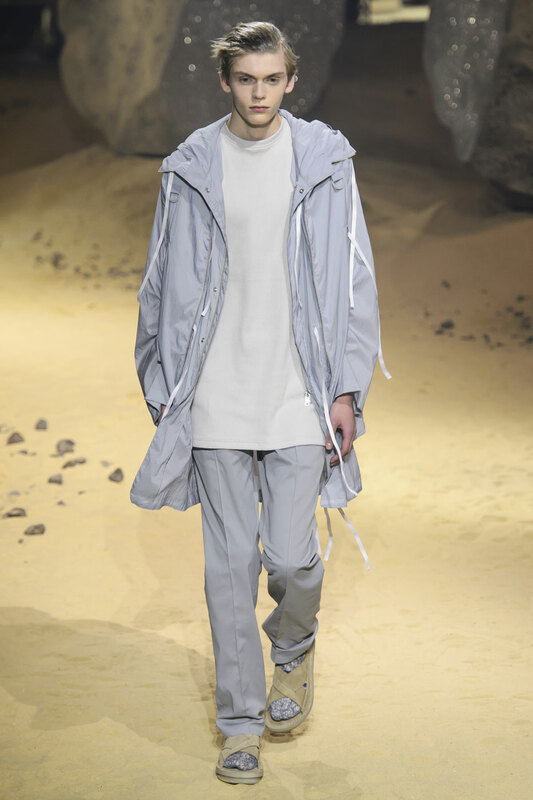 With the combining elements of the set, the accessories and the clothes themselves this collection is extremely futuristic. 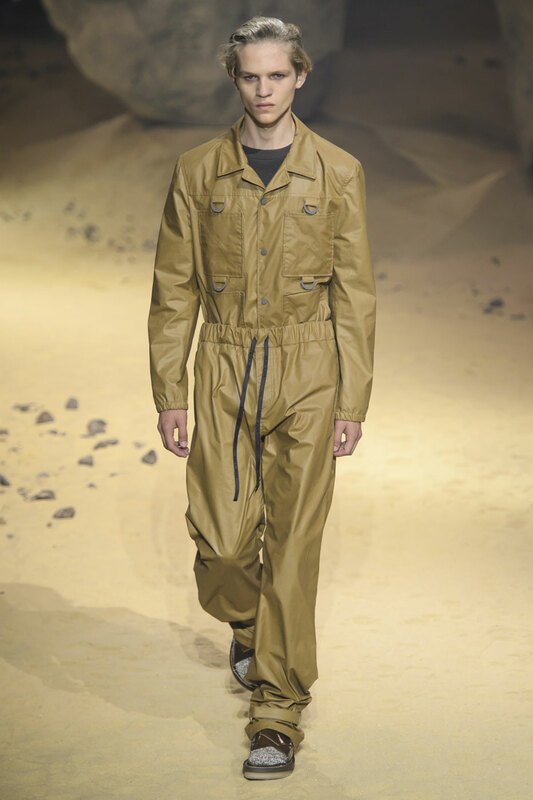 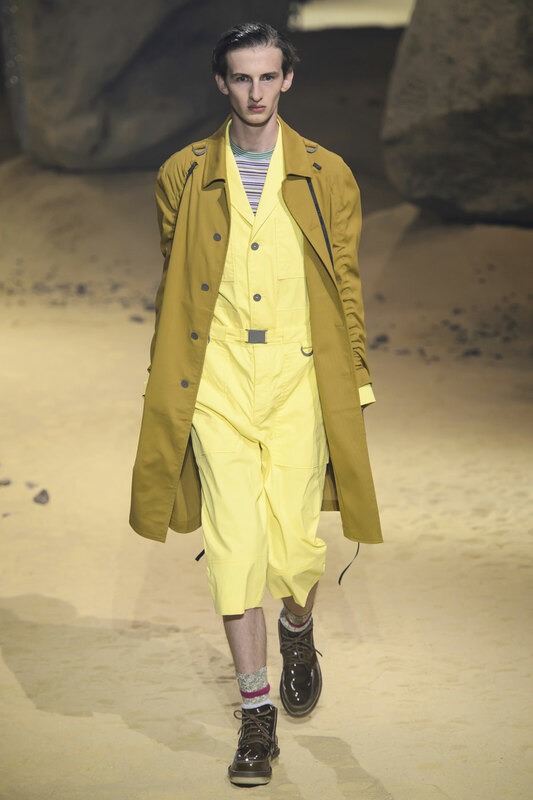 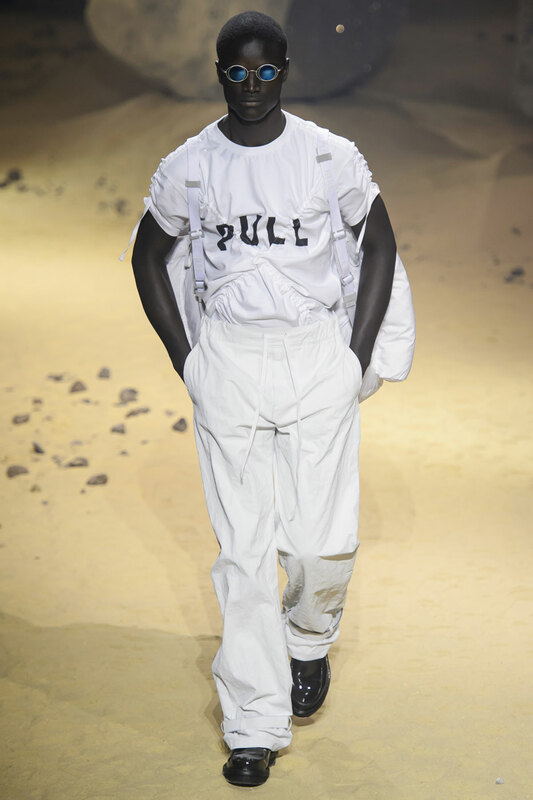 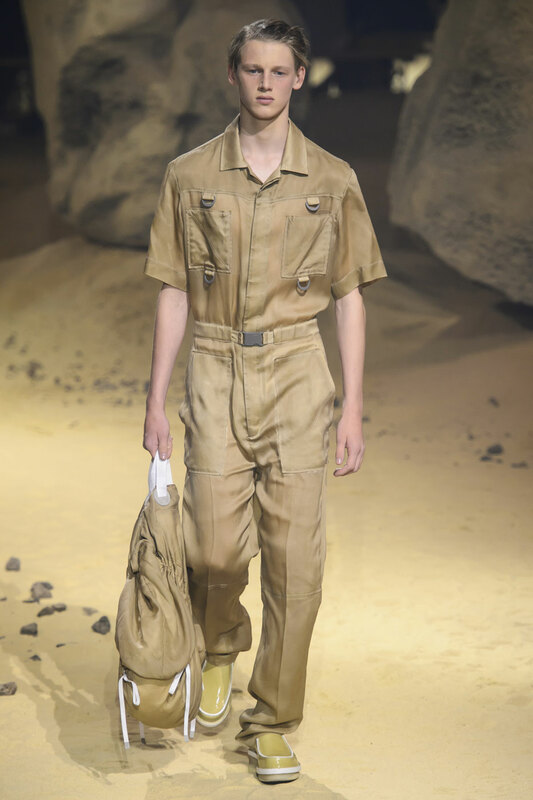 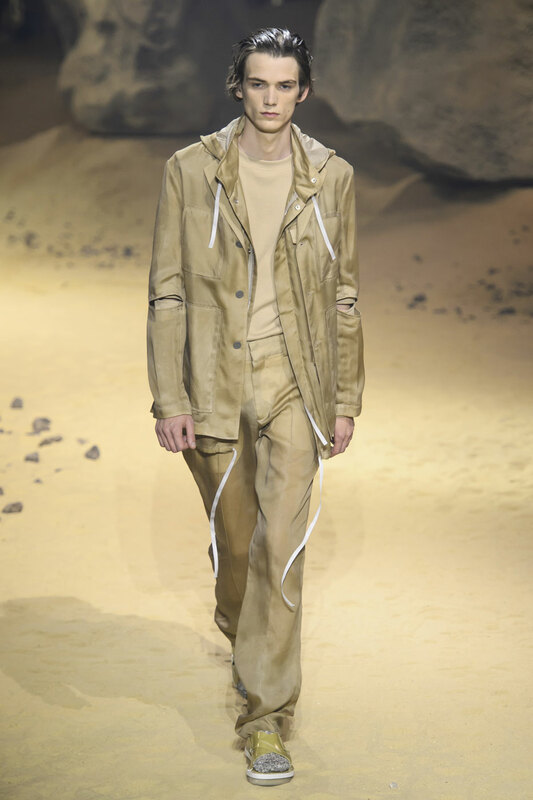 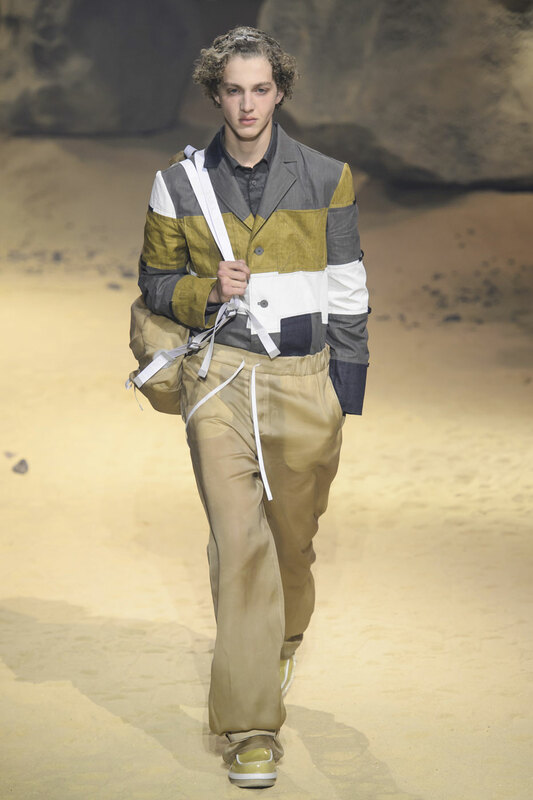 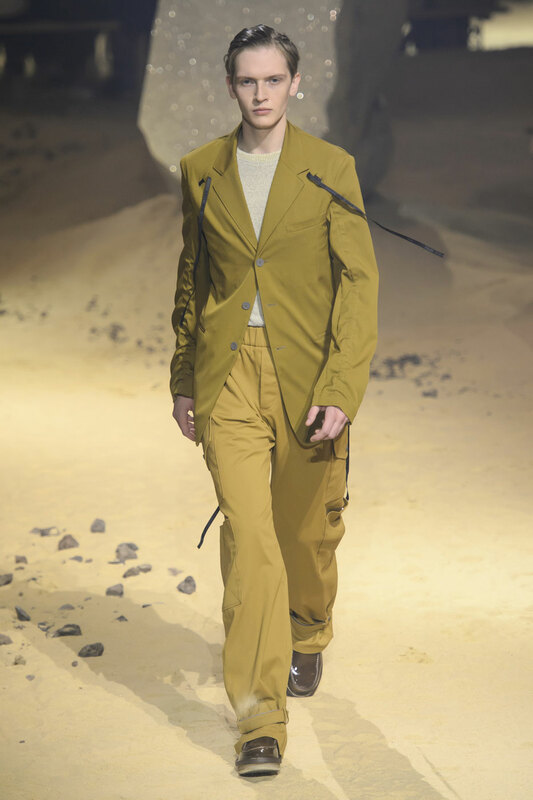 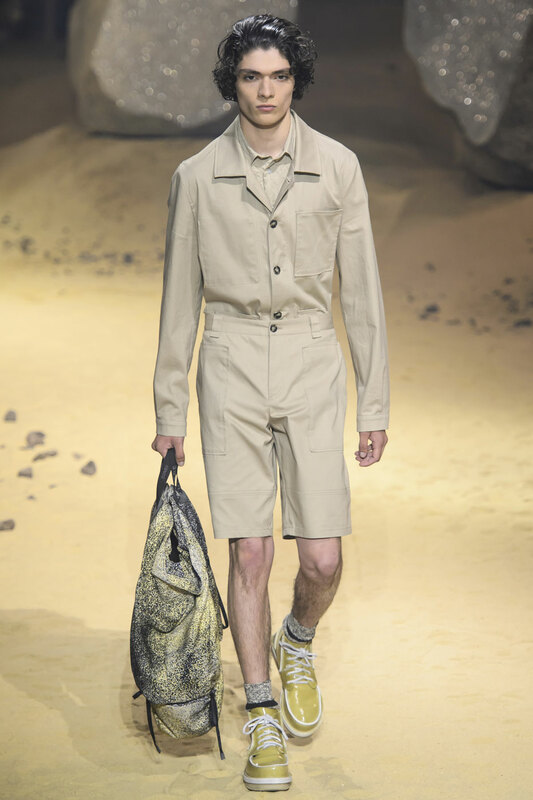 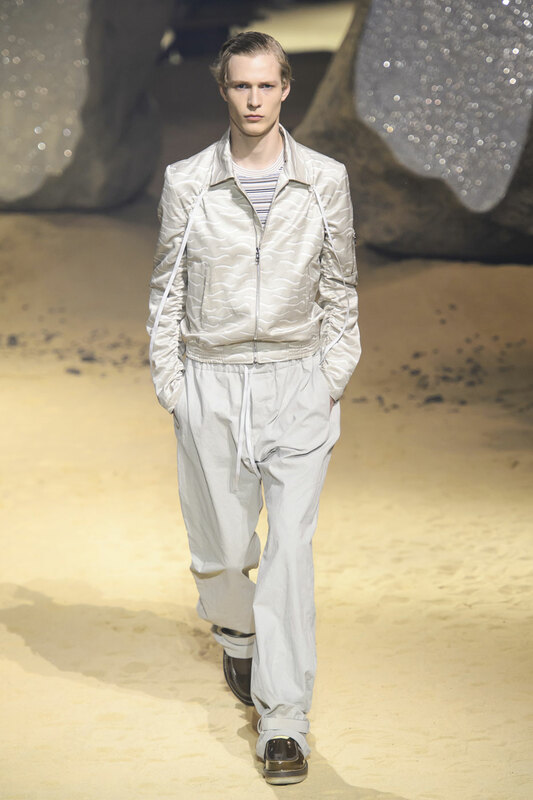 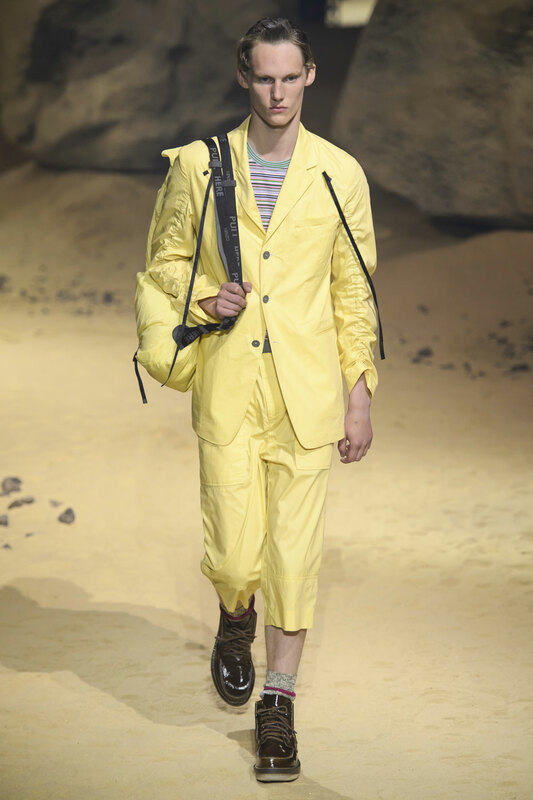 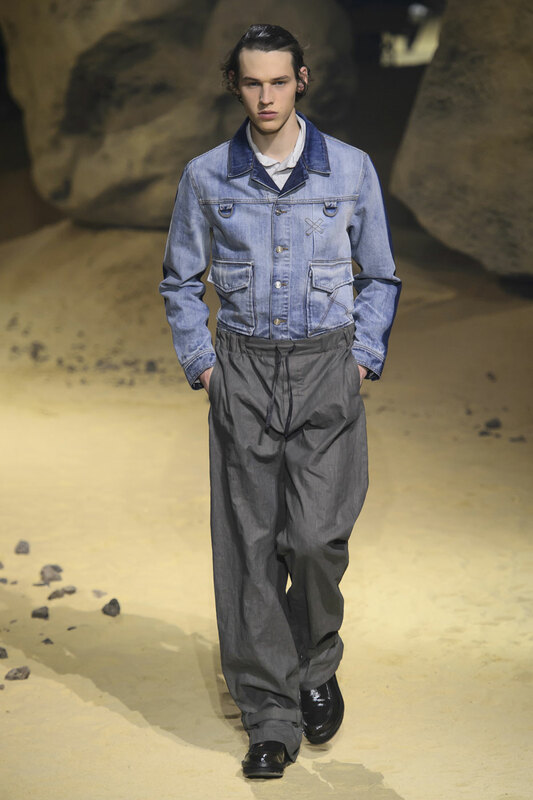 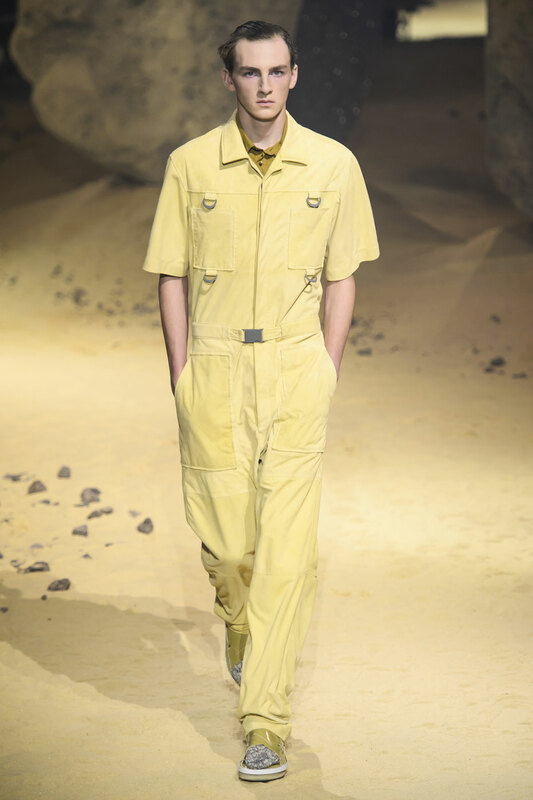 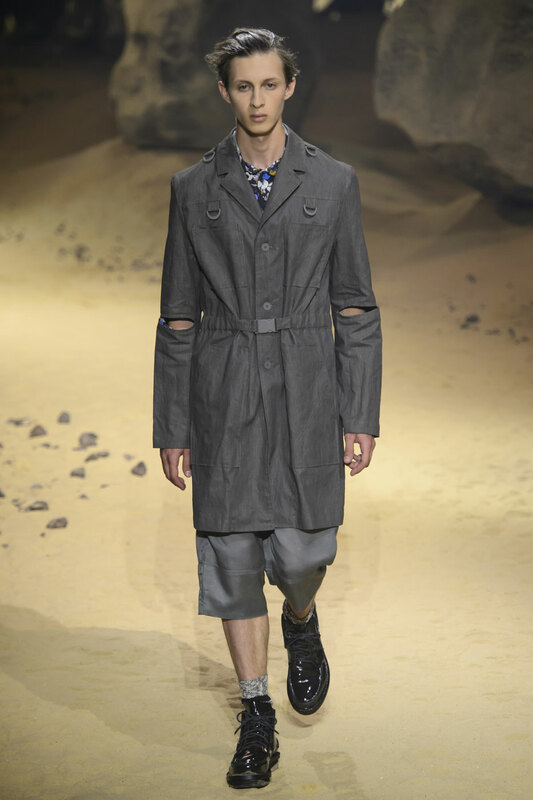 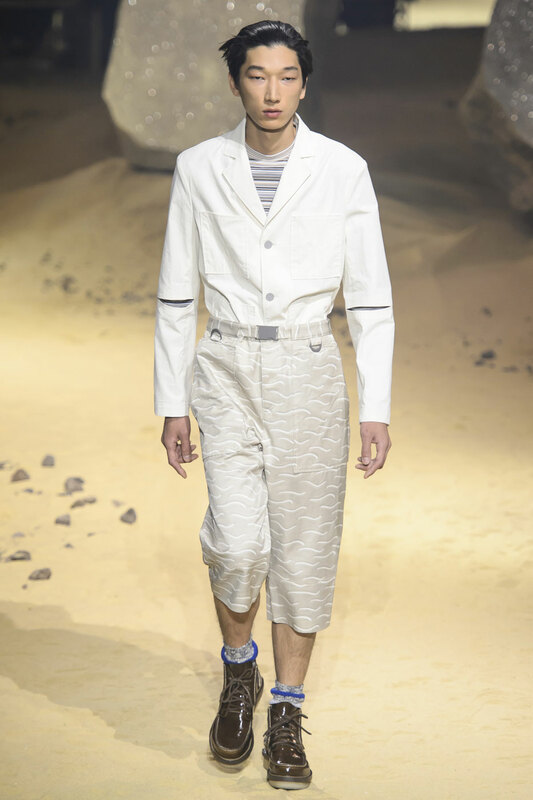 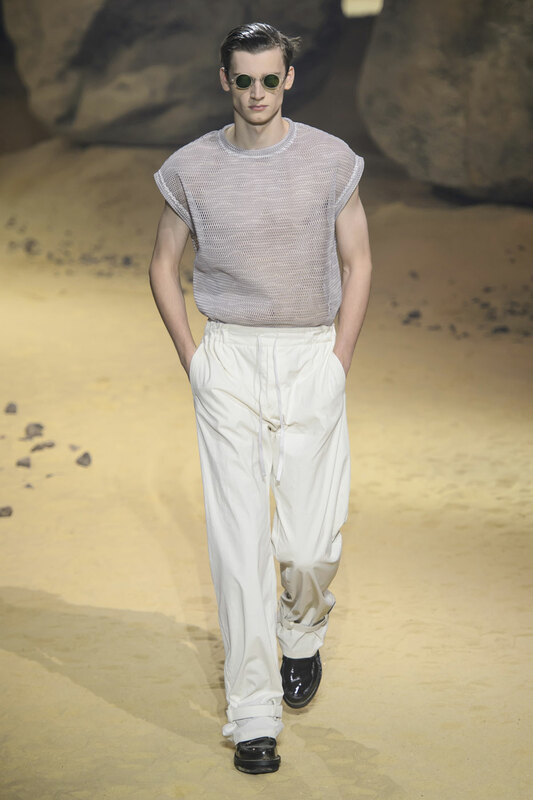 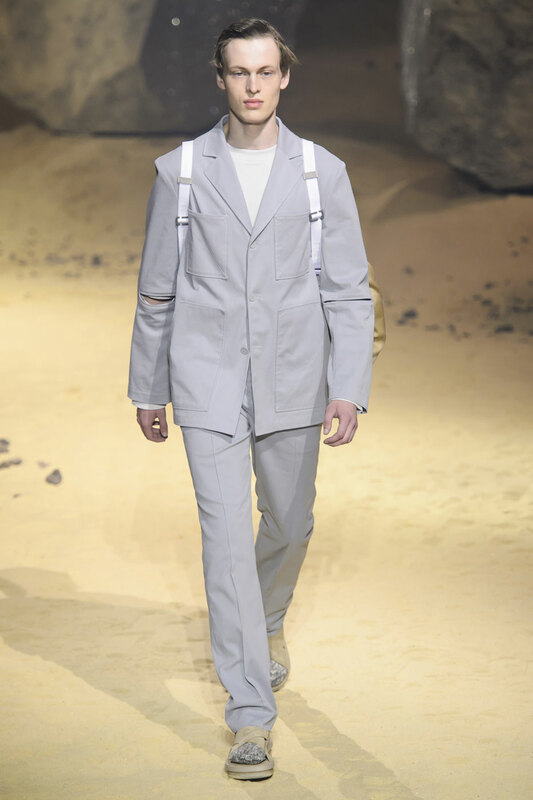 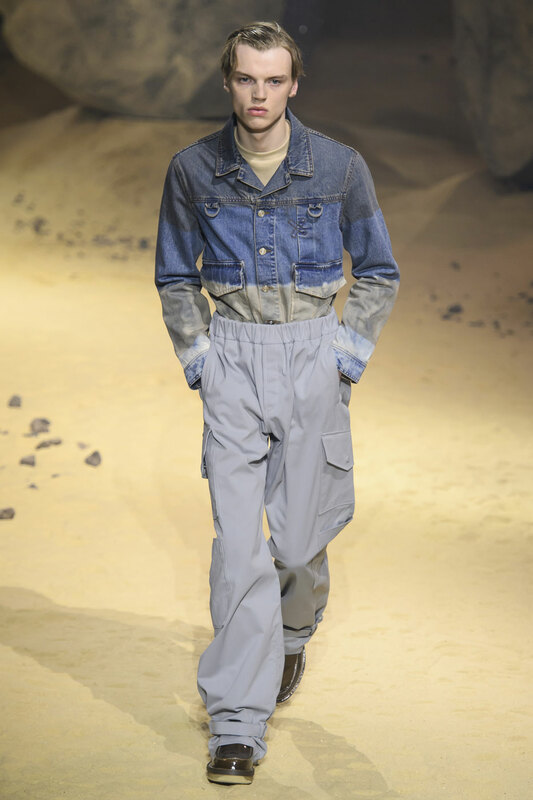 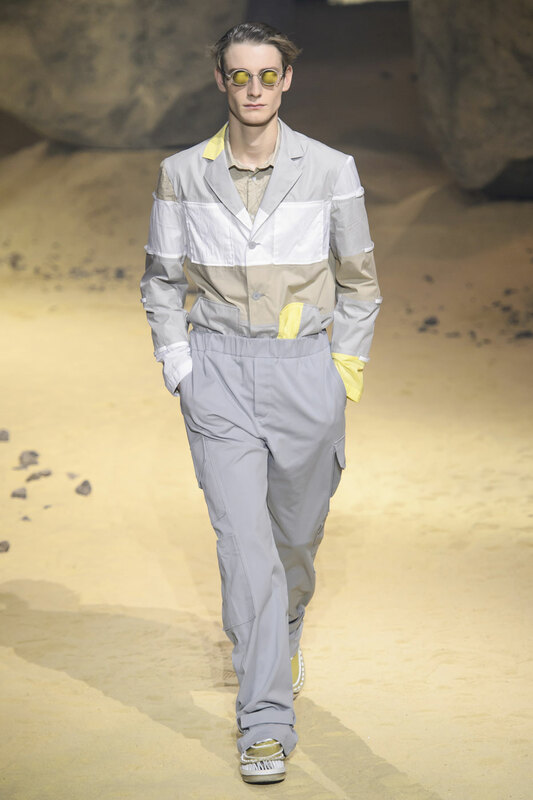 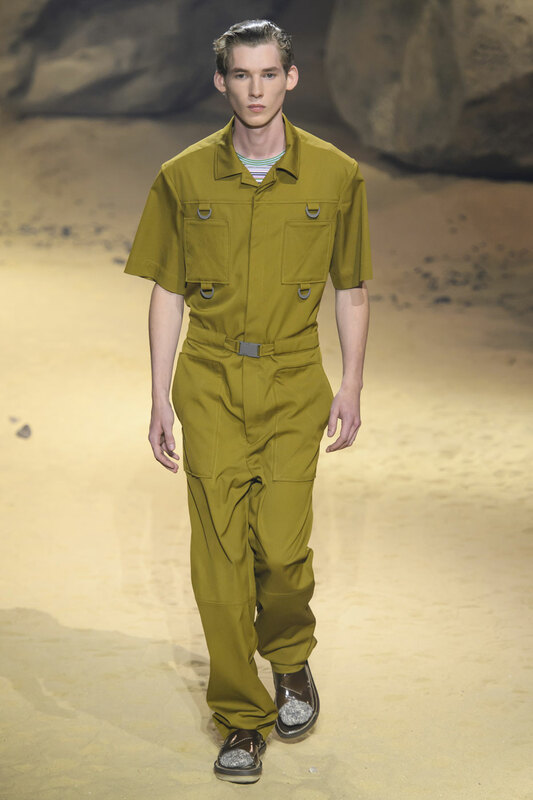 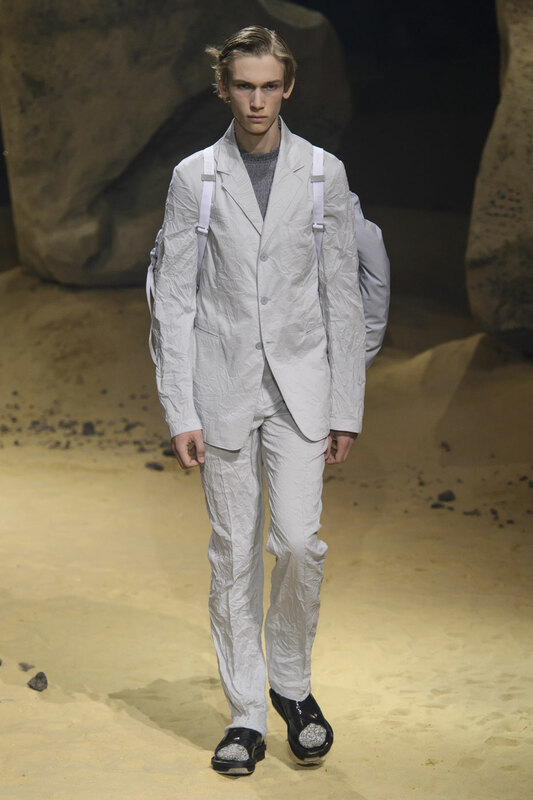 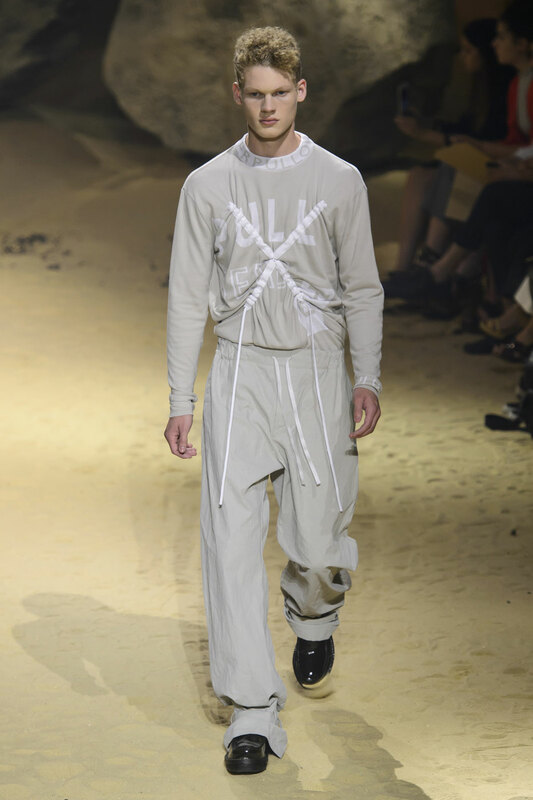 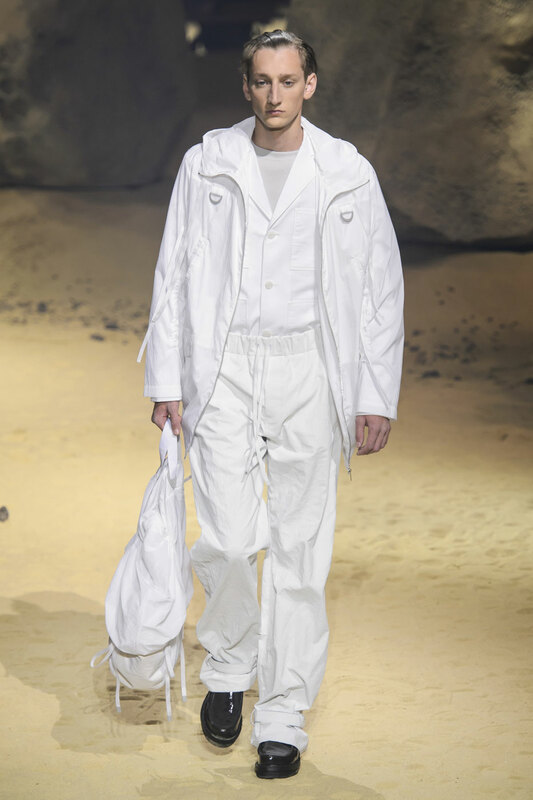 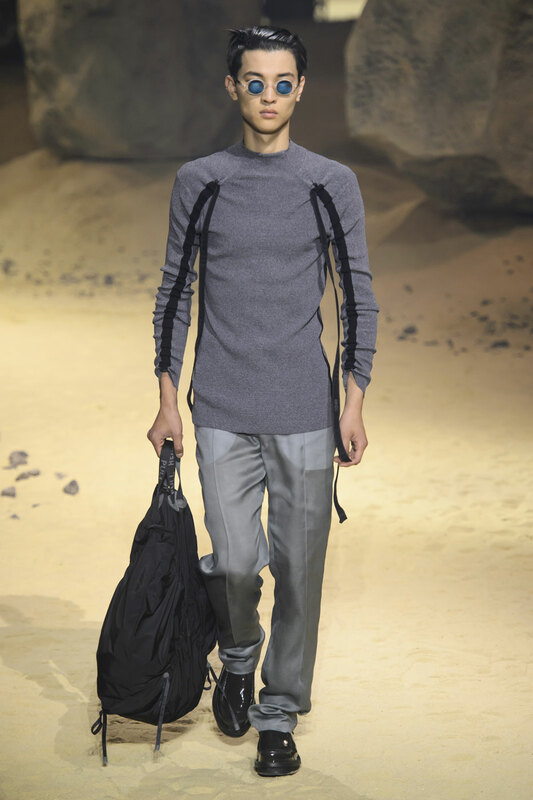 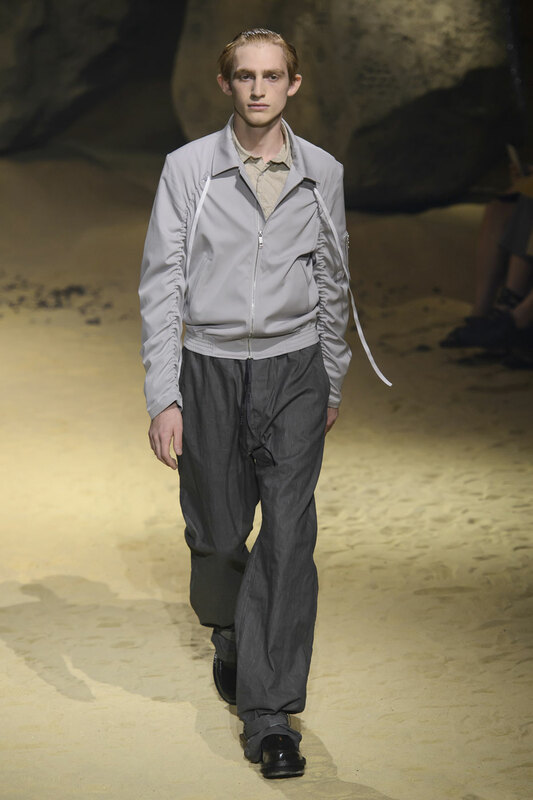 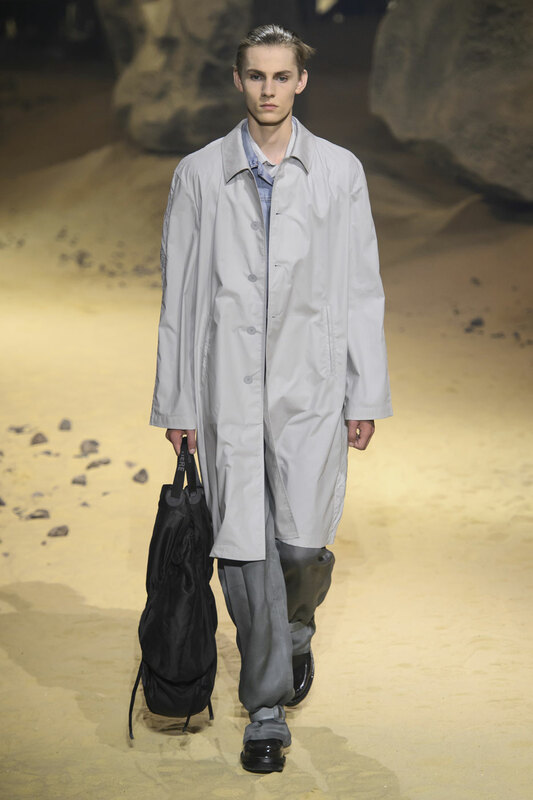 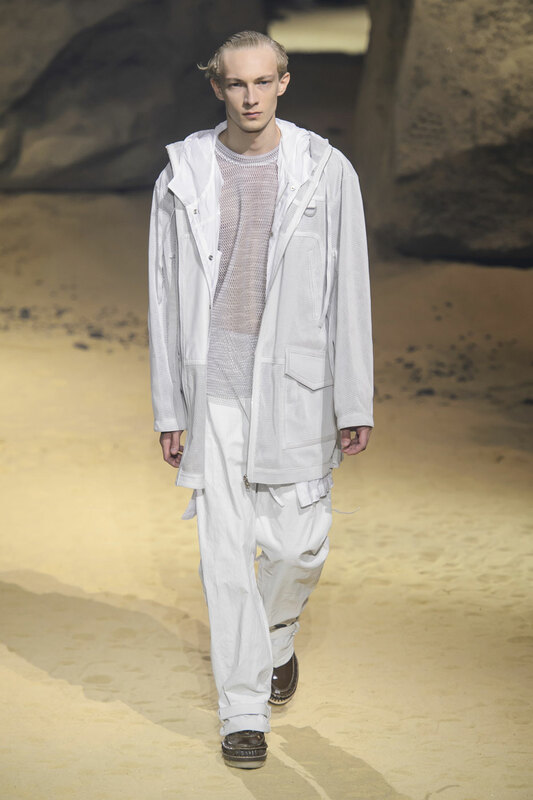 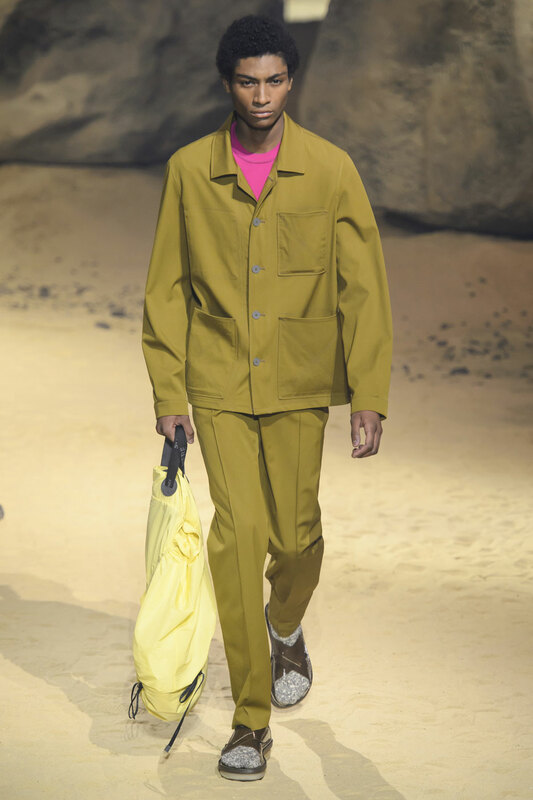 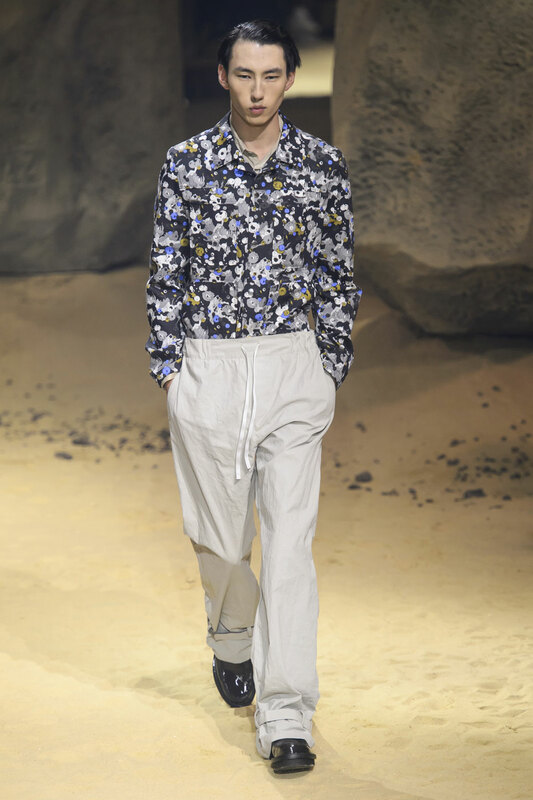 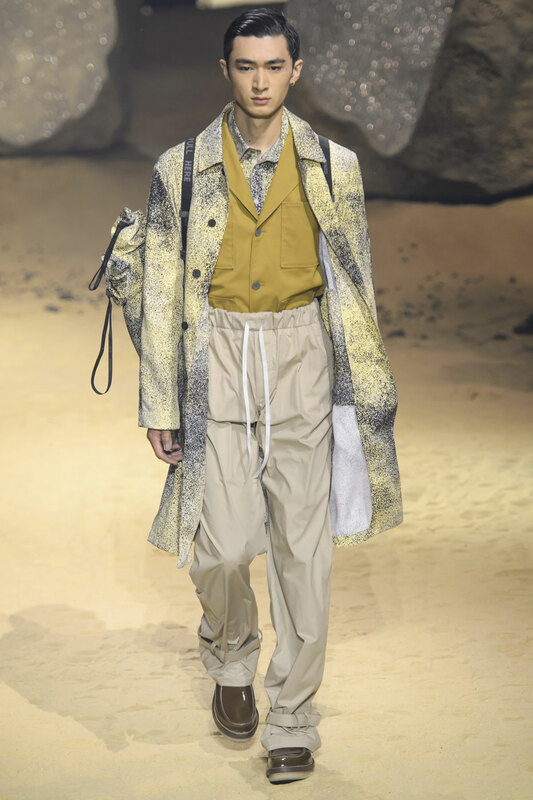 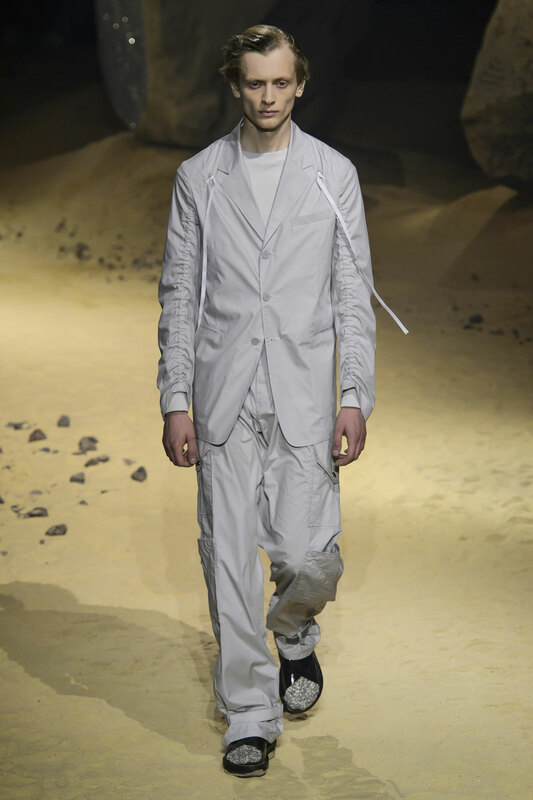 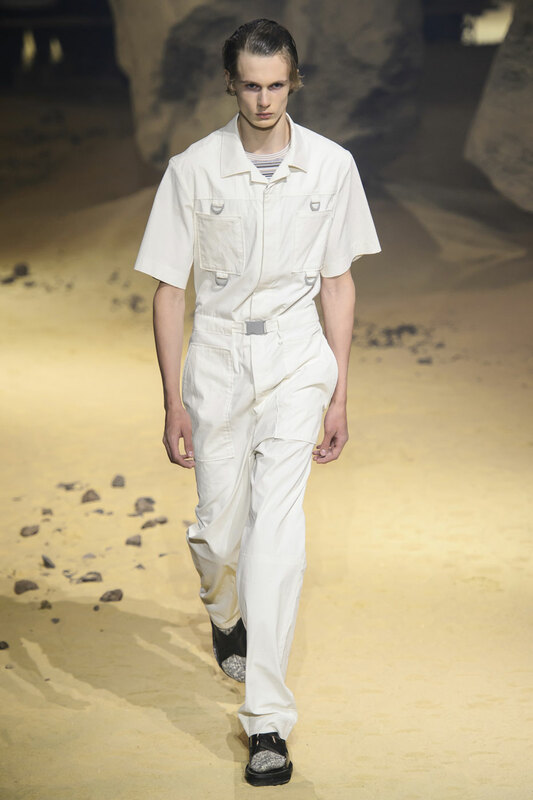 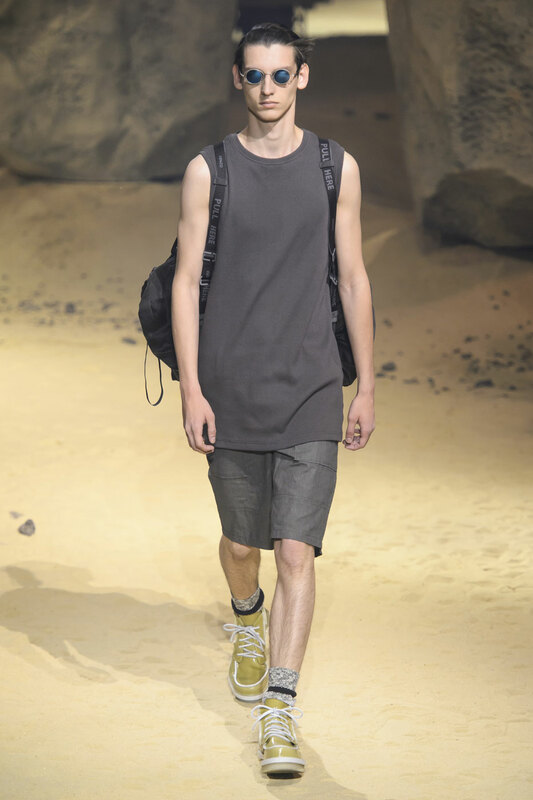 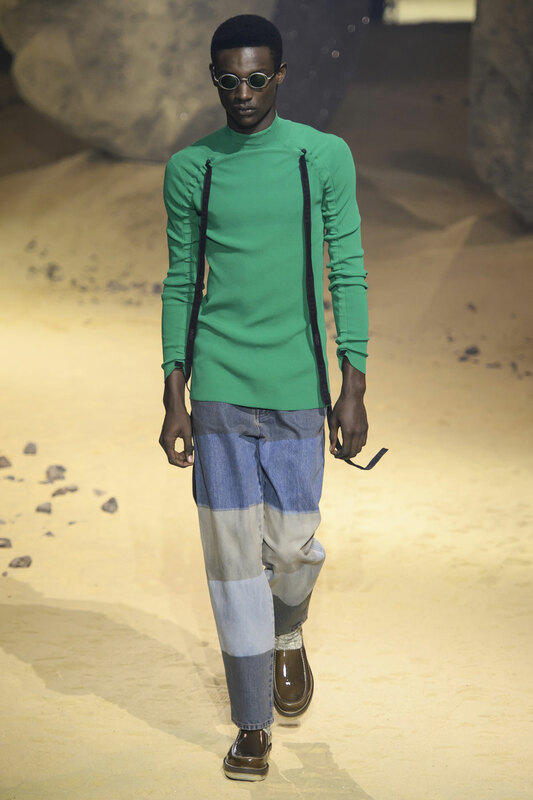 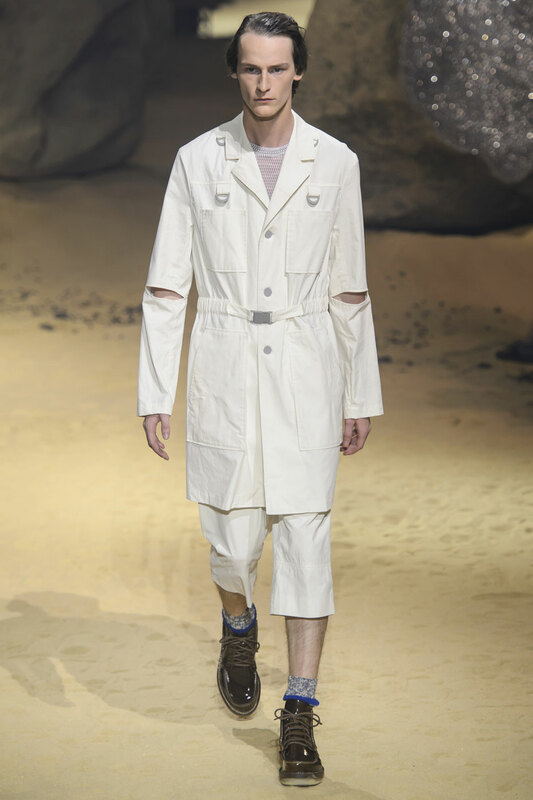 The sunglasses used, due to the size and circular shape of the lens create a robotic, electronic persona to the models, this paired with the boiler suits and high neck lines, long arm length and general fitted fit of the tops used reference a space inspired uniform. 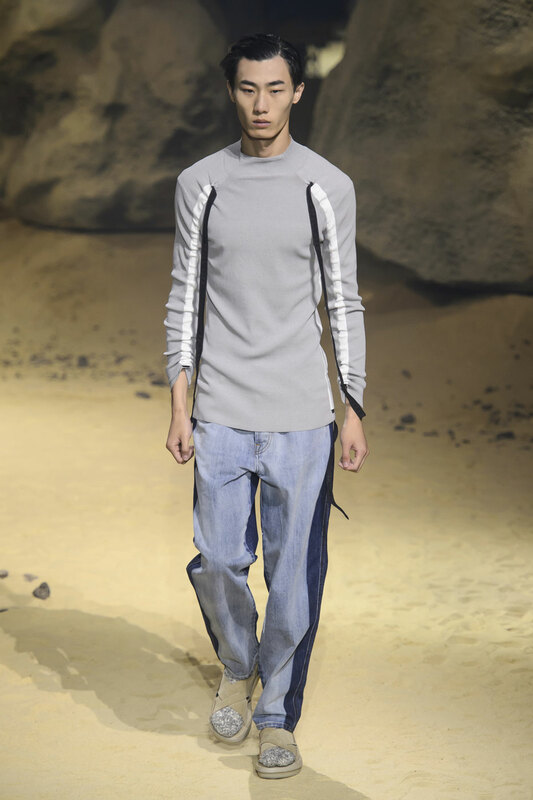 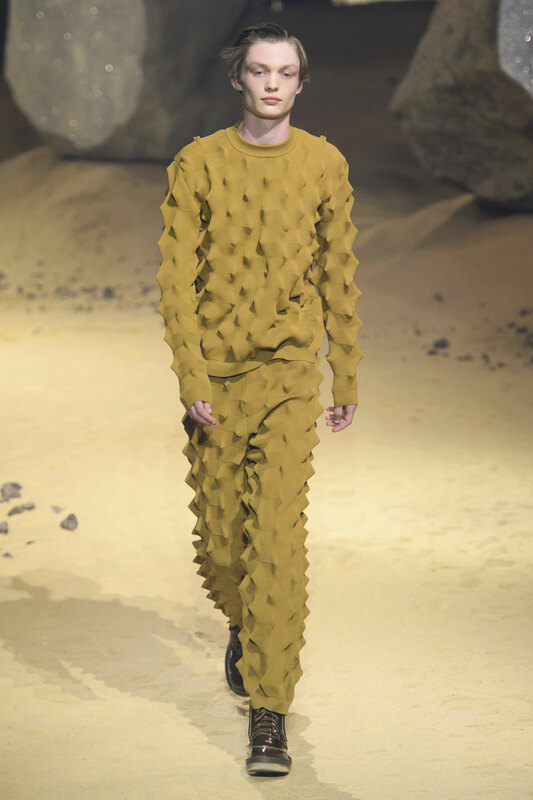 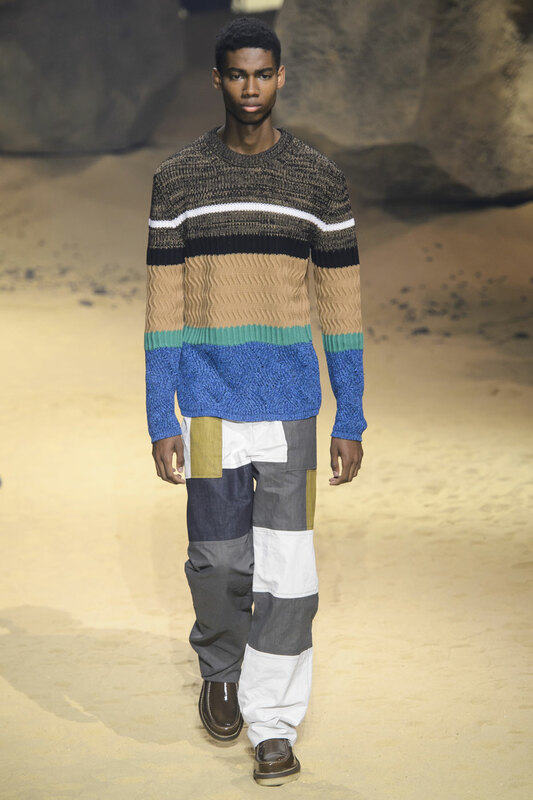 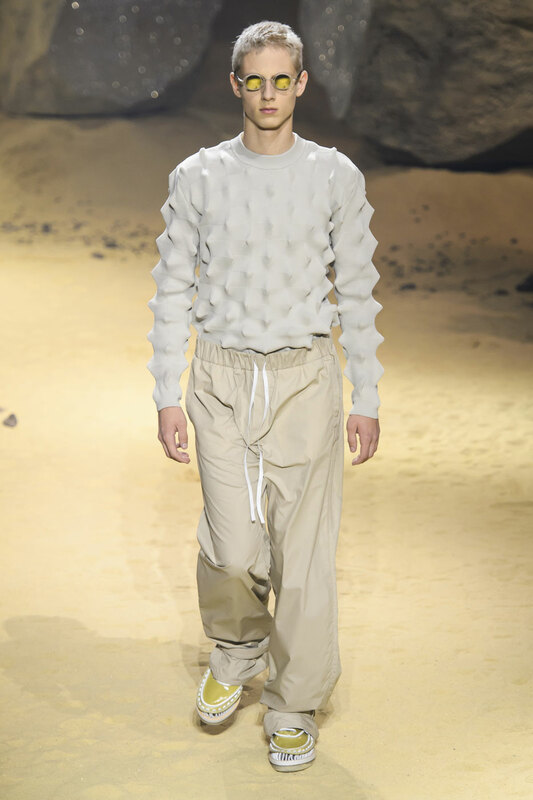 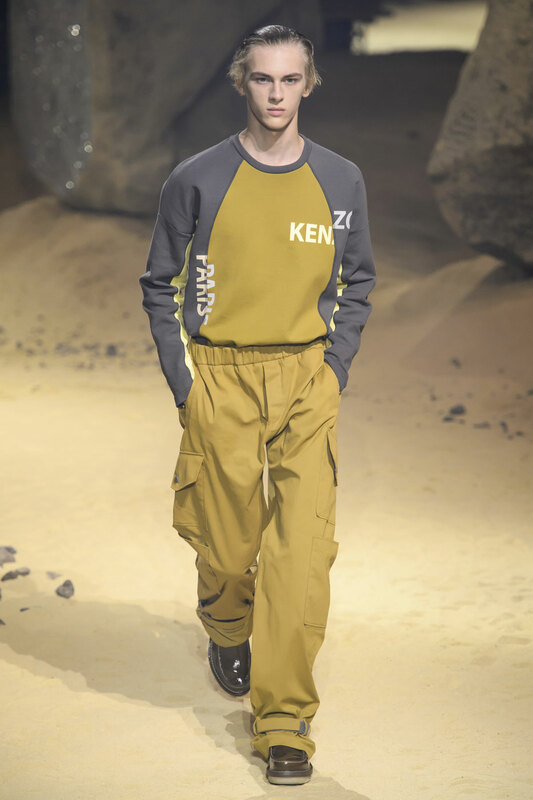 The collection also includes 3D, textured sweatshirts that reflect the uneven landscape of many of the planets in the solar system. 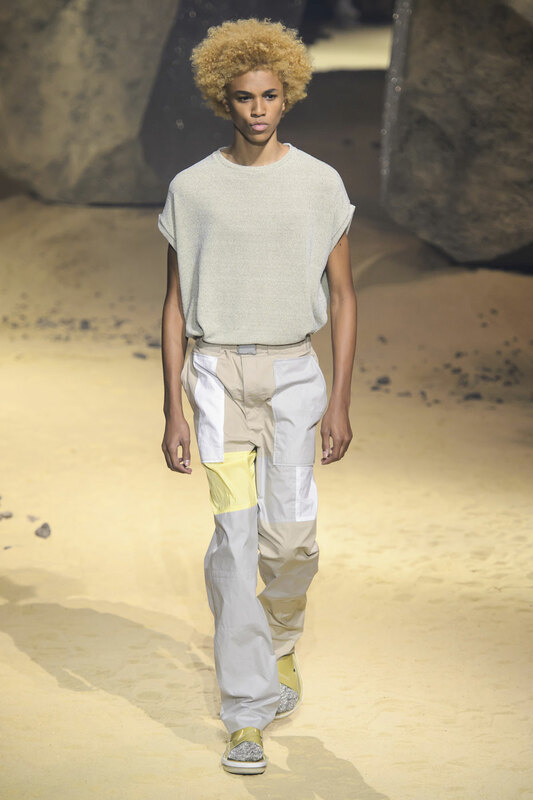 While the earthy, muted colours reference the moon. 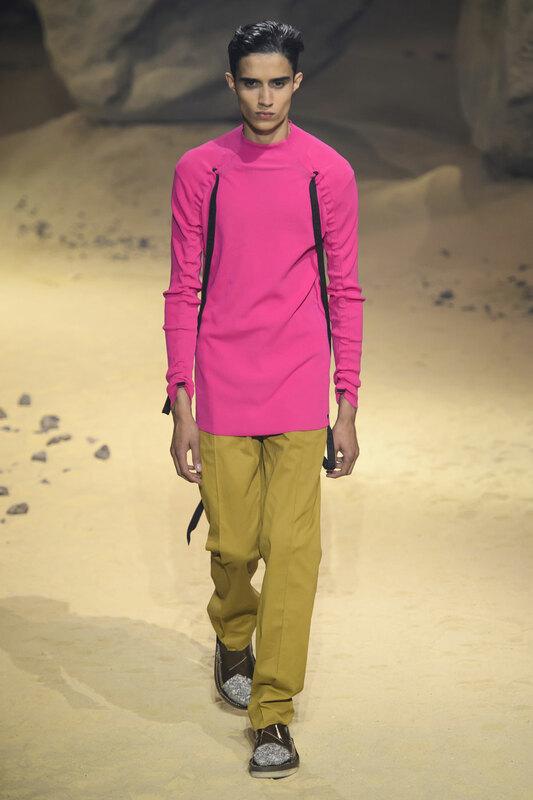 Leon and Lim have kept the collection extremely minimal in both colour scheme, pattern and cuts; the only offering of vibrancy is through the electric pink. 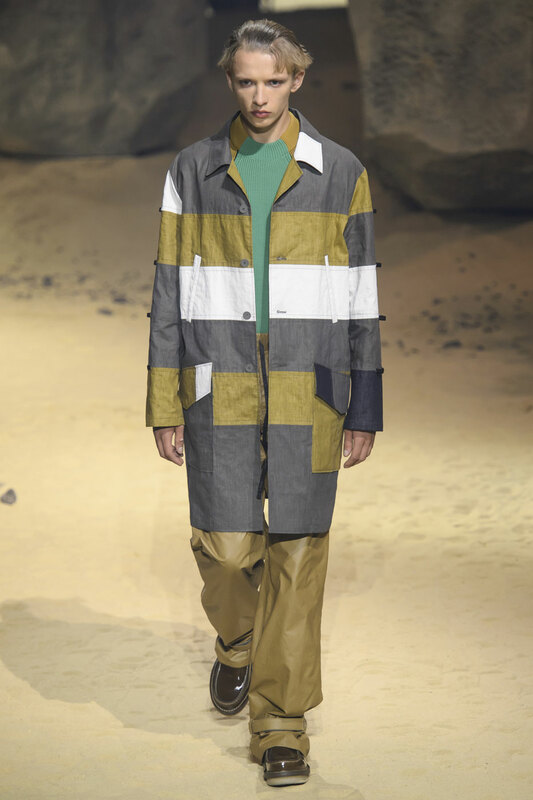 The only vibrant pattern used is a patch work print, however due to the pastel colours used, it remains as the rest of the collection does, minimal.